Enago offers a range of services to empower authors and help them achieve publication success by improving the quality of their manuscripts. Moreover, these services facilitate universities to boost their overall research output and improve their research performance. Enago is a preferred partner for leading universities and publishers worldwide. Increase manuscript acceptance rate by up to 50% after availing Enago’s services. Increase the university’s percentage of international publications in high-impact SCI/SSCI journals compared to local publications. By increasing high-impact publications in international journals, universities can facilitate international research collaborations. Enago offers two levels of editing—Substantive Editing and Copy Editing—to address the broad academic writing and publishing needs of authors. Our editors completely eliminate language and formatting errors in a research manuscript and provide our authors with a flawless outcome. Professional academic and technical translation services to help researchers get successfully published in international journals. Special emphasis is laid on every manuscript being translated by subject-matter experts. We offer academic translations in Japanese, Korean, Chinese, Portuguese, Turkish, Spanish, German, and French. 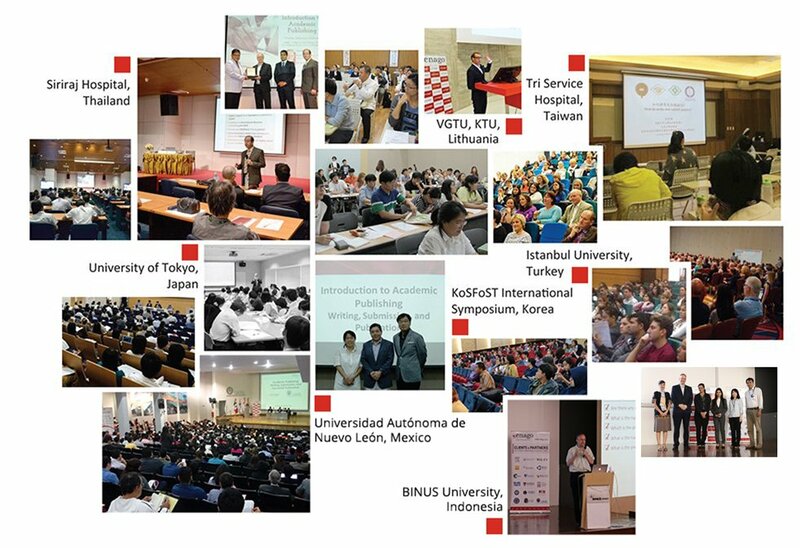 Enago conducts workshops primarily for ESL authors and researchers in various universities. We empower our scholarly audience by providing them with comprehensive and up-to-date academic writing and publishing resources. This helps them elevate their research knowledge and skill set, eventually resulting in publication success. Publication support services offer a range of privileged services that help researchers meet their publishing needs, all in one package. This comprises of services ranging from Journal Selection, Pre Submission Peer Review to Journal Submission and many more. Learn and Grow with Enago Academy, your Educational Community for Knowledge Sharing Enago Academy is a forum for active discussion and knowledge sharing. It offers comprehensive and up-to-date resources for researchers, publishers, editors, and students to learn and share their experience about research and publishing.